Unfortunately, the Obama Administration isn’t paying attention to NPR or that worldwide data. 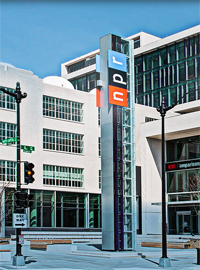 When even people like John Kerry and Barack Obama pay no attention to National Public Radio (NPR), must taxpayers be forced to continue subsidizing it? In other words, paraphrasing Dr. John Lott, Jr.: more guns, less crime. Welcome aboard, NPR. Accordingly, Russia constitutes a gun control extremist’s paradise. The predictable result is far fewer guns, but far higher crime. Moreover, that reality is not limited to the U.S. and Russia. It’s a worldwide truth. In 2012, the American murder rate was just 4.8 per 100,000 people. To put that into perspective, Honduras suffers the world’s highest murder rate at 91.6 per 100,000, with El Salvador second at 69.2. Venezuela, with its strict gun prohibitions, suffers 45.1 murders per 100,000, as do other countries with notoriously tough restrictions. Gun-banning Mexico’s murder rate stands at 22.7 per 100,000, Brazil’s at 21.0, Costa Rica’s at 10.0 and police state North Korea’s at 15.2. Several European nations also exceed the U.S. rate, including Greenland (19.2), Lithuania (6.6), Estonia (5.2) and Ukraine (5.2). Many Asian nations also exceed the U.S. rate, such as Thailand (4.8) and Indonesia (8.1). In fact, the U.S. murder rate is all the way down at 104th in the world. In contrast, European nations with the highest gun possession rates enjoy some of the world’s lowest crime and murder rates. Switzerland, Finland, Sweden and Norway are among the top ten countries in worldwide gun possession after the U.S., but are among the safest nations on the planet. Countries like Germany, Italy and Britain have lower gun possession rates, but higher murder rates. At the United Nations General Assembly session this week, Secretary of State John Kerry curiously announced that he will sign a U.N. treaty regulating private gun ownership and trade worldwide. Under the treaty’s provisions, participating nations must “maintain a national control list” of firearms, and also engage in registration, licensing and restriction of transfer of guns. In other words, to do what Russia does with disastrous results. Fortunately, ratification requires a 2/3 Senate majority, and over 130 members of Congress have already gone on the record expressing their opposition. Namely, throughout this week, liberals and their Republican enablers have excoriated Senator Ted Cruz for what they labeled a futile gesture in opposition to ObamaCare. Yet here was the Obama Administration preening about signing an international agreement that stands zero chance of ratification. If taxpayers are going to be forced to subsidize NPR, the least the Obama Administration could do is peruse its headlines more regularly.